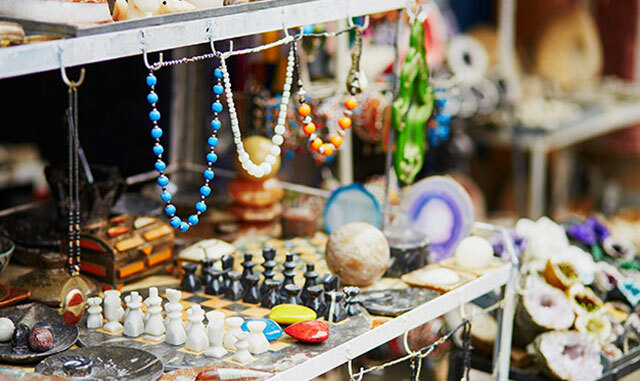 Don't settle for the ordinary - seek out the extraordinary and find unique artisan gifts at the One of a Kind Show & Sale. Since 1975, this Toronto shopping market has featured handmade Canadian goods and top quality artwork. From November 24 through December 4, you can shop for all kinds of treats: gourmet foods, unique clothing and accessories, furniture, jewelry, and so much more. Along with the excellent shopping, you'll find a series of free, DIY workshops where you can learn skills like paper sculpting, calligraphy, bullet journaling, holiday mandalas, cookie decorating, and stenciling. There will be live music and entertainment on the main stage, beautiful holiday displays, and complimentary services for families and children. The One of a Kind Show & Sale will be open on weekdays and Saturdays from 10 am to 9 pm, and on Sundays from 10 am to 6 pm. You'll also find late-night shopping until 11 pm on December 1. Find the market at Enercare Center at Exhibition Place, a popular venue for Toronto events that is located just 3 kilometers from our hotel. We offer a convenient central location for exploring the city, along with choice amenities including a hot tub, spa, pool, and luxurious accommodations. Would you like to know more? Please contact us today!